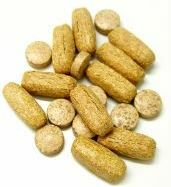 Herbal supplements are a type of diet supplement (that contain herbs, either singly or in mixtures. A herb (also called a botanical) is a plant or plant part used for its scent, flavor, and/or therapeutic properties. Many herbs have a long history of use and of claimed health benefits. However, some herbs have caused health problems for users. This fact sheet contains points you should consider for your safety if you use, or are thinking about using, herbs for health purposes. It does not discuss whether herbs work for specific diseases and conditions. It is a product (other than tobacco) intended to supplement the diet, which contains one or more of the following: vitamins; minerals; herbs or other botanicals; amino acids; or any combination of the above ingredients. It is labeled as being a diet supplement. It's important to know that just because an herbal supplement is labeled "natural" does not mean it is safe or without any harmful effects. For example, the herbs kava and comfrey have been linked to serious liver damage. Herbal supplements can act in the same way as drugs. Therefore, they can cause medical problems if not used correctly or if taken in large amounts. In some cases, people have experienced negative effects even though they followed the instructions on a supplement label. Women who are pregnant or nursing should be especially cautious about using herbal supplements, since these products can act like drugs. This caution also applies to treating children with herbal supplements. It is important to consult your health care provider before using an herbal supplement, especially if you are taking any medications (whether prescription or over-the-counter). Some herbal supplements are known to interact with medications in ways that cause health problems. Even if your provider does not know about a particular supplement, he can access the latest medical guidance on its uses, risks, and interactions. If you use herbal dietary supplements, it is best to do so under the guidance of a medical professional who has been properly trained in herbal medicine. This is especially important for herbs that are part of an alternative medical system such as the traditional medicines of China, Japan, or India. Alternative medical systems are built upon complete systems of theory and practice, and have often evolved apart from and earlier than the conventional medical approach used in the United States. In the United States, herbal and other dietary supplements are regulated by the U.S. Food and Drug Administration (FDA) as foods. This means that they do not have to meet the same standards as drugs and over-the-counter medications for proof of safety, effectiveness, and what the FDA calls Good Manufacturing Practices. The active ingredient(s) in many herbs and herbal supplements are not known. There may be dozens, even hundreds, of such compounds in an herbal supplement. Scientists are currently working to identify these ingredients and analyze products, using sophisticated technology. Identifying the active ingredients in herbs and understanding how herbs affect the body are important research areas for the National Center for Complementary and Alternative Medicine. Published analyses of herbal dietary supplements have found differences between what's listed on the label and what's in the bottle. This means that you may be taking less--or more--of the supplement than what the label indicates. Also, the word "standardized" on a product label is no guarantee of higher product quality, since in the United States there is no legal definition of "standardized" (or "certified" or "verified") for supplements. Some herbal supplements have been found to be contaminated with metals, unlabeled prescription drugs, microorganisms, or other substances. There has been an increase in the number of Websites that sell and promote herbal supplements on the Internet. The Federal Government has taken legal action against a number of company sites because they have been shown to contain incorrect statements and to be deceptive to consumers. 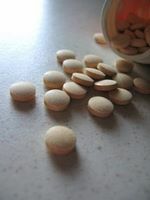 It is important to know how to evaluate the claims that are made for supplements.